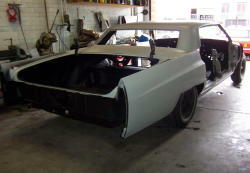 1967 Cadillac Deville PG 2. 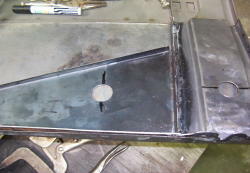 Repairing the inner frame of the guards. 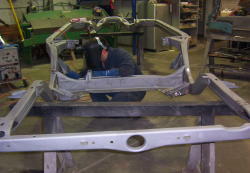 Welding cracks in the chassis. 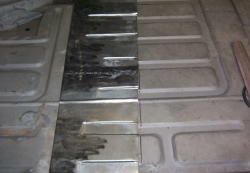 New section of boot floor being fabricated. 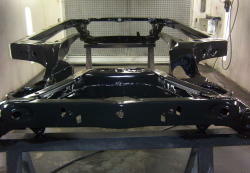 Painted chassis. 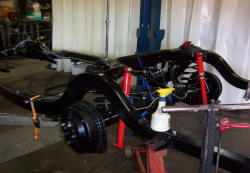 Reinstalling the suspension, new ball joints, bushes and shocks were fitted throughout, all the brake components were reconditioned or replaced. 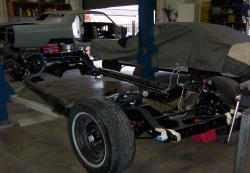 The body was refitted to the chassis. Fitting up the firewall.